Here's the Plan — Fernanda Frick Studios | Animation, Ilustration and more! "A married cat-dog couple of cupcake bakers dream of opening their own bakery. One day their oven breaks and they have to postpone their dream in order to earn money and replace it. Somewhere down the line, they drift apart from their dream and from themselves." 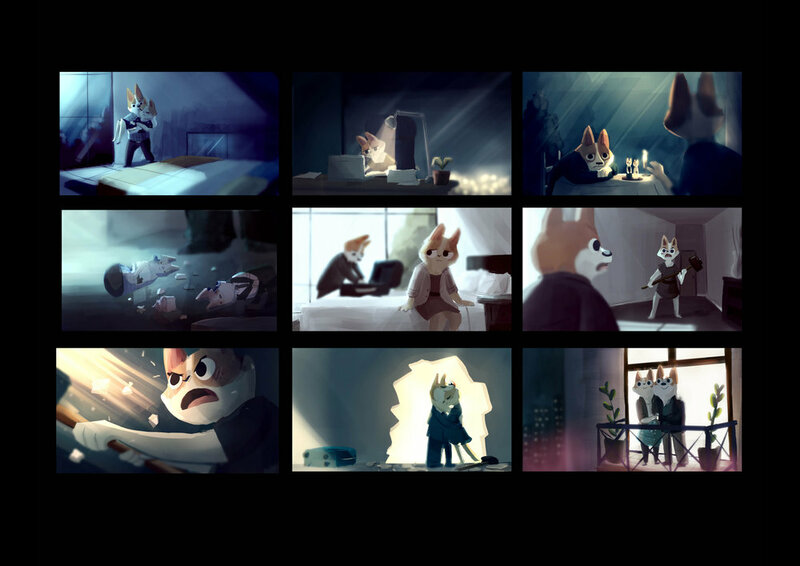 "Here's the plan" is a 18-minute CG animated short film. Directed by Fernanda Frick and financed by the National Council of Culture and Arts, it took almost 2 years of work and a talented team of 32 professionals to finish it. It had it's World Premiere at Nashville International Film Festival and it's national premiere at Festival Chilemonos 2017, where it won "Best Chilean Short Film"